After one year at the helm of WSET’s flagship school Jim Gore DipWSET shares his proudest achievements and personal advice on the power of knowledge as the traditional drinks list diversifies. Following your degree in microbiology, how did your love for science fuel your appreciation of wine? Having slightly geeky tendencies is a common theme for many of us here at WSET School London. I certainly think that wine brought out the more enjoyable side of science for me. Yeast, rootstocks, different clones of grapes have always fascinated me and my background has certainly helped my understanding. What has been most interesting is that two of my hobbies, gardening and cooking, really play to the appreciation of wine in terms of learning how to grow plants in challenging conditions. It wasn’t until I started growing my own plants (and a few vines) that I really understood the disease pressure that grape growers are under and the frustrations they feel. I am endlessly fascinated with how a winemaker, like a chef, can use the same grapes or ingredients and create such diverse products. I am used to cooking but I will get back to you on how my first attempt at making wine in Norfolk goes next year! How did the insights you gained from your career in wine retail influence your career trajectory? I have very fond memories of my 7 years in retail, mostly because it really inspired me to be brave and go straight in to the wine trade after University. I love the fact that my first interview at Oddbins was based around tasting a glass of wine and then trying to sell the bottle to a customer. I feel very strongly about getting to know what I would call 'real' wine drinkers on a day to day basis, understanding their honest reason for buying a bottle of wine and how to promote loyalty in customers. It is too easy for so-called wine experts to be sniffy about wine and my retail colleagues really highlighted that to me. Looking back it was the interaction and communication with customers that I adored and so being able to lead a team that communicates with people on a massive scale now is really a dream job. 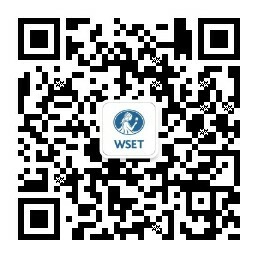 In your first year as Principal of WSET School London, what has been your biggest achievement? I am surprised daily, which keeps the job exciting, but speaking to the students and seeing how diverse their backgrounds are is really inspiring. Our classes feel open and completely multi-cultural, something I am incredibly proud of. I would say the biggest achievement to date has been hiring our two newest educators, Lauren Denyer and Christine Marsiglio. We have some of the most experienced wine, spirit and sake educators in the world working here and they have very quickly and happily shared their expertise. What are the benefits for someone working in one area of the industry, for example wine, to broaden their knowledge to other areas, such as spirits and sake? There are not many "one beverage customers" anymore. We have grown up in a world full of choice where new experiences are cherished more than tradition. Look at drinks lists now – cocktails compete with sparkling wine as an aperitif and traditional end of dinner drinks such as Port often fight for their place against an espresso martini. If you want fluidity in conversation with a customer you have to know the full scope of drinks available. The rigour of learning spirits and sake processes also puts fermentation and maturation flavours in your mind more strongly which helps a lot when learning about winemaking at a higher level. What advice would you give to students studying a wine and spirits qualification? My best advice is to revise in a logical and sustainable way. Cramming may help you pass the exam but you’re less likely to retain the knowledge long-term. The higher the qualification the more analysis of information is expected so if a student does not know the basics of what the grapes and regions are and most importantly what the wines taste like it is difficult to progress. We highly recommend using online flashcard apps so that your commute and lunchbreak can be used for revision. Immerse yourself in the subject by chatting to other students or, if you are able to, visiting a vineyard or winery to help put the written words into context. The more you can visualise and use what you have learnt in conversation and application, the better you will understand and retain the knowledge.